You can read the 499 pages of onerous new regulations here. 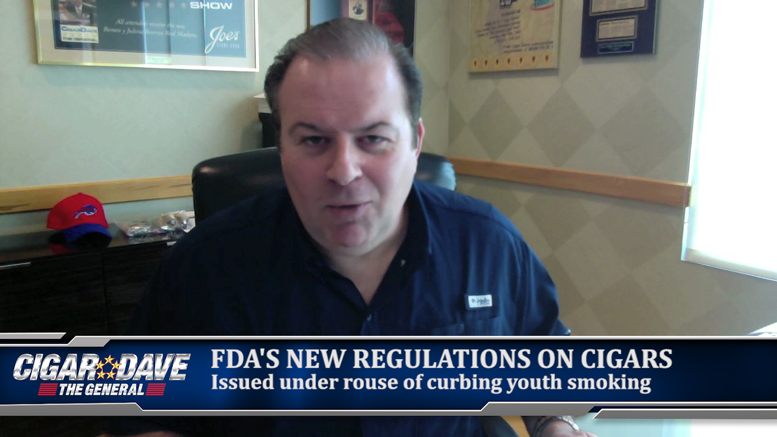 “We are deeply disappointed that the Food and Drug Administration has decided to regulate premium cigars. The premium cigar industry is made up of dozens of small, family-owned cigar makers, like us, along with thousands of small, independent specialty cigar stores across the country. The cost and burdens of onerous regulations threaten the entire industry. We are closely studying the 499 pages of regulations that the FDA issued this morning and are hopeful that we can find a way to save our historic cigar factory in Tampa. We’ll have more reaction tomorrow 12-2pm ET on the Cigar Dave Show. You can listen live at CigarDave.com, Cigar Dave Mobile Apps or on 140+ radio stations.